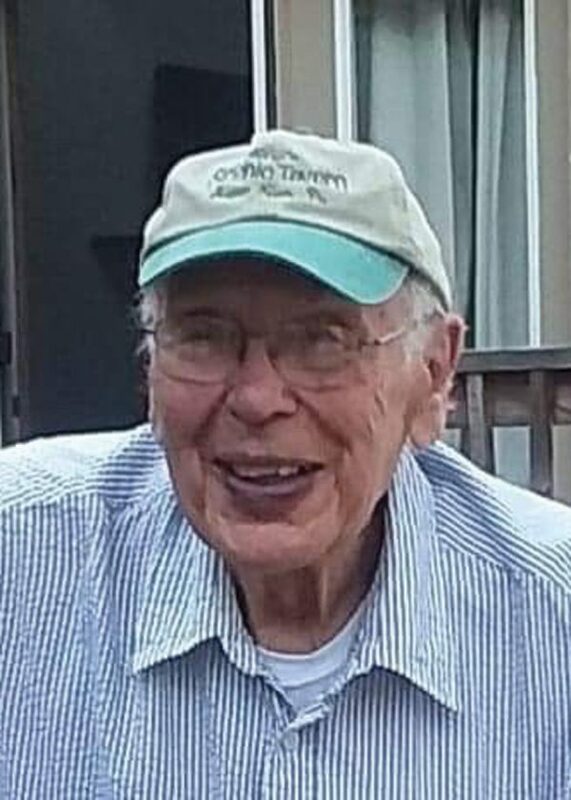 Joseph Gene Ely, 89, of Clarendon, PA passed away unexpectedly on Monday, April 8, 2019. Joe was born August 12, 1929 in Sugar Run, PA to the late Lyle and Theresa Lorenzini Ely. He married Janet Quiggle on July 14, 1956 at St. Luke’s Episcopal Church in Kinzua, PA. Janet was his best friend and the love of his life. He attended Kinzua and Klondike grade schools. He was a graduate of Bradford High School. He was raised on a farm in Sugar Run and worked for Dunn Brothers until entering the Army. Joe was formerly employed at Sylvania and GTE for 37 years. Joe served in the US Army during the Korean Conflict. He was a staff sergeant in the Military Police in Germany from 19511954. He received an Army of Occupation medal, a National Defense Service medal, and a Good Conduct medal. Joe loved the outdoors. He was an avid hunter and bird watcher. He spent many hours studying and enjoying the birds. He was a Scoutmaster in Kinzua and Clarendon. He coached Little League Baseball for both his sons. His Italian heritage brought out the cook in him and he loved trying new dishes. Joe’s family was the most important thing in his life. His family was his life and spending time with them was his favorite activity. His grandkids were the light of his life. If any of his kids or grandkids had a game or event, he was there. If you needed a babysitter or helping hand, he was your man. He never missed anything and wouldn’t have wanted to. He was the best Dad, Papa and PopPop anyone could ask for. He was the kindest, most gentle loving soul. Joe is survived by his wife, Janet, of Clarendon; his 3 children, Joe and wife Carol of Clarendon, Jerry and wife Denise of Warren and Jill and husband Jeff of Warren; 5 grandchildren Jaimie Ely, Julianna Ely, Rachel Lasecki, Curtis Lasecki and Colin Ely; 1 brother Dean Ely and wife Gloria; a sisterin law Rose Barney; and a brother in law, Murry Quiggle. Also, many nieces and nephews. He was preceded in death by two brothers, Larry and William Ely, 2 sisters inlaw, Mary Ely and Sharon Quiggle, father and mother inlaw Gifford and Maude Quiggle, two nephews, Ed Barney and Mitch Hollick. Friends will be received from 24 pm and 68 pm on Thursday, April 11, 2019, at the Peterson-Blick Funeral Home, 1003 Penna. Ave. E. Warren, PA 16365. A funeral service will take place on Friday, April 12, 2019, at 10 am at the Trinity Memorial Episcopal Church, 444 Pennsylvania Ave W, Warren, PA 16365, with Fr. Matthew Scott, pastor, officiating. The family has requested memorial donations be made to Cancer Center, 105 Lee St, Warren, PA 16365, or in memory of “Edward Barney” the ALS Foundation, 1275 K Street NW Suite 250 Washington, DC 20005.